This luxury condo has everything you'll want and need to create a memorable vacation for you and your family! 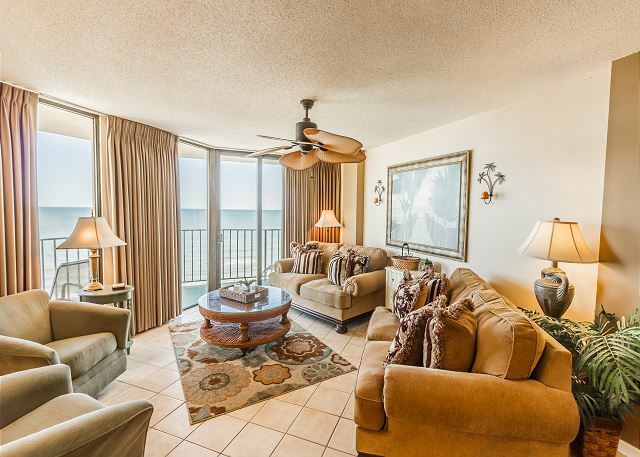 A rare and very popular 4 bedroom / 4 bath ocean front condo, the condo books up early and often! This is a 3rd floor unit to enjoy to views. From the 8th floor, this elegantly re-designed condo welcomes you with amazing beach views. 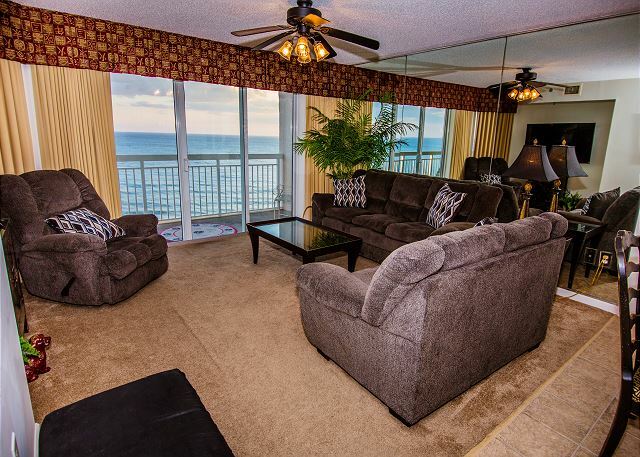 The condo & balcony are furnished for relaxing with the waves. Amazing sunrises and sunsets included with every rental! Full condo renovation completed in May 2018. This is not your typical beach rental! Every room is decorated with neutral but elegant accents. The Northern and Eastern views from this 7th floor unit give the effect of floating on the ocean. Come and spend some time by the sea! The condo is decorated in Earthy colors like Terracotta and green, with beautiful accent pieces throughout, offering a sophisticated tropical flair. TWO Masters with private baths! Outdoor living includes a nicely furnished, screened in porch. Renovations are complete and you will agree...BEAUTIFUL! The new owner has spent months painstakingly transforming this spacious 4 bedroom, 3 bath into an oceanfront gem. This condo is on 5th floor. The pictures will impress but the real thing will WOW! The beach is calling and this is the perfect answer! 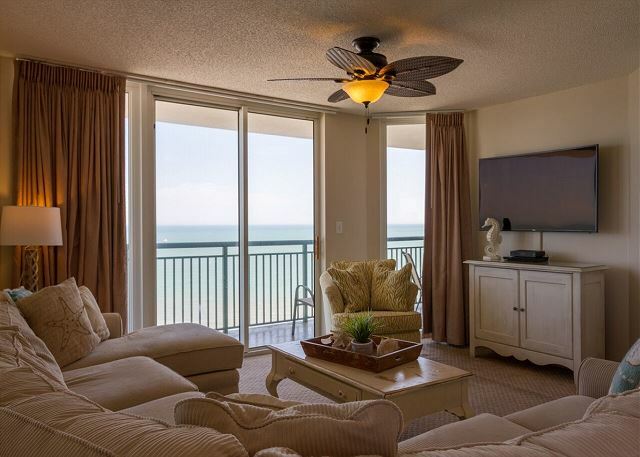 Just sit back and enjoy the sun and surf off of this amazing 2nd floor ocean front balcony. Your family will enjoy a vacation they will never forget!